Silver Ghost is a head-turning collection named after Rolls Royce’s finest. 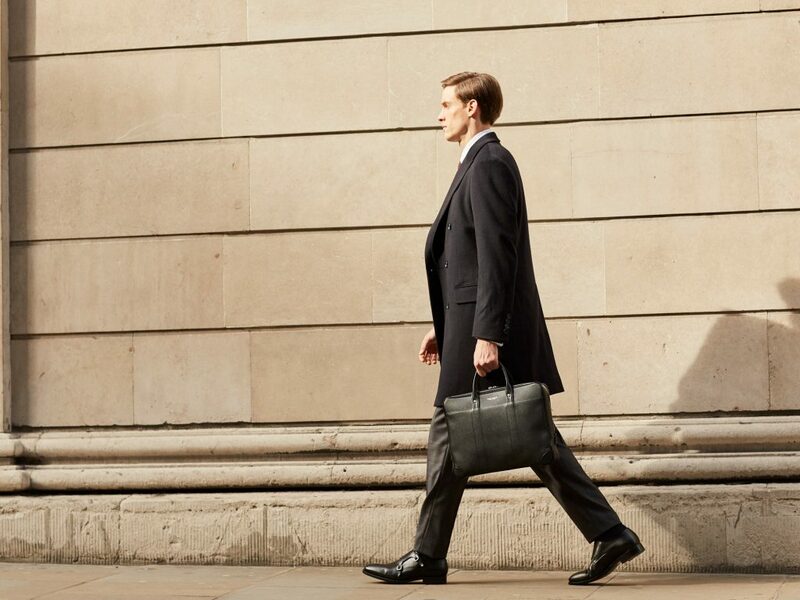 Modern, refined, practical: it excels as on-the-go business wear. 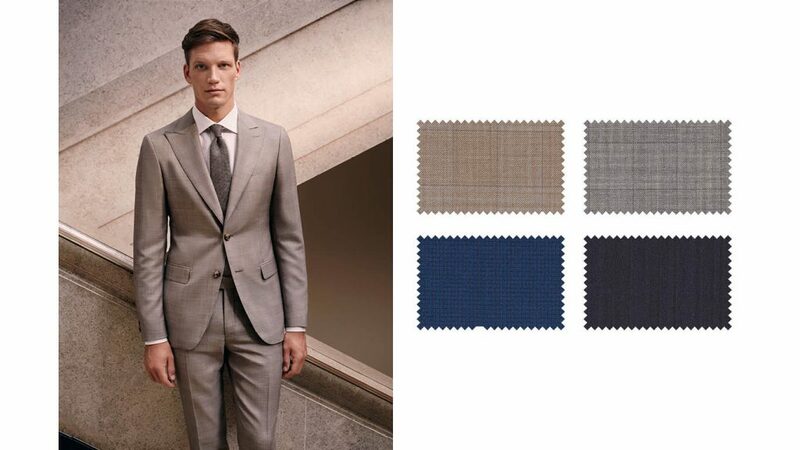 The 100 per cent super-fine merino wool construction ensures quality; the plain weave preserves a suit’s shape and sharpness. 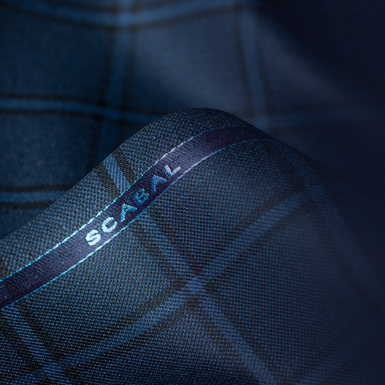 With 67 designs, it is versatile too – choose from 12 plains (including four blue melange), a host of checks, overchecks, pinheads, microstructures and a suite of sophisticated stripes. 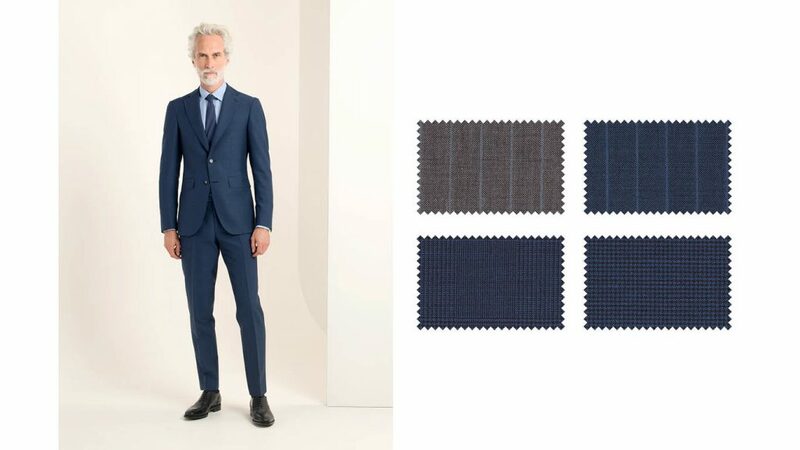 A new gold-standard in cut-above suitings: made from 100 per cent Super 120’s wool, this prunelle-weave, 240g-weight fabric is a versatile all-rounder, perfect for a calendar’s worth of occasions. The collection has grown to house detailed micro-patterns, stripes, overchecks and herringbones alongside its classic plains. 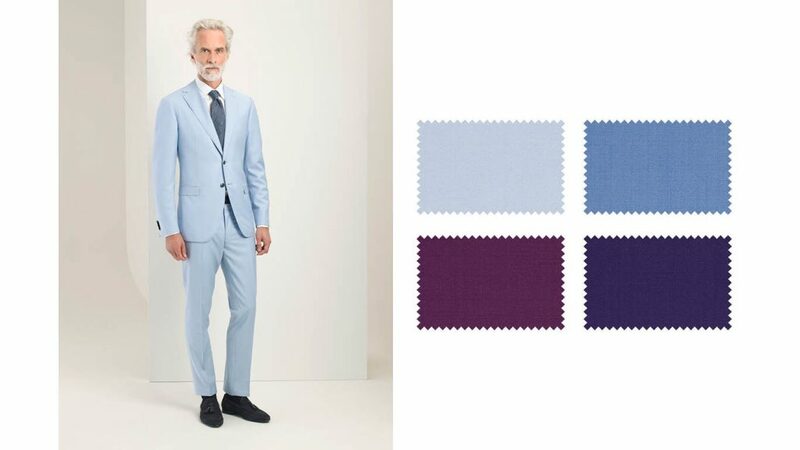 Hit the high notes with Concerto: a lightweight 240g Super 150’s wool with a twill weave which brightens in hues of blue, green, red and purple, and looks just as refined in plains ranging from pastel beige to classic grey. For summer sophistication all compasses point to Kingston Bay. 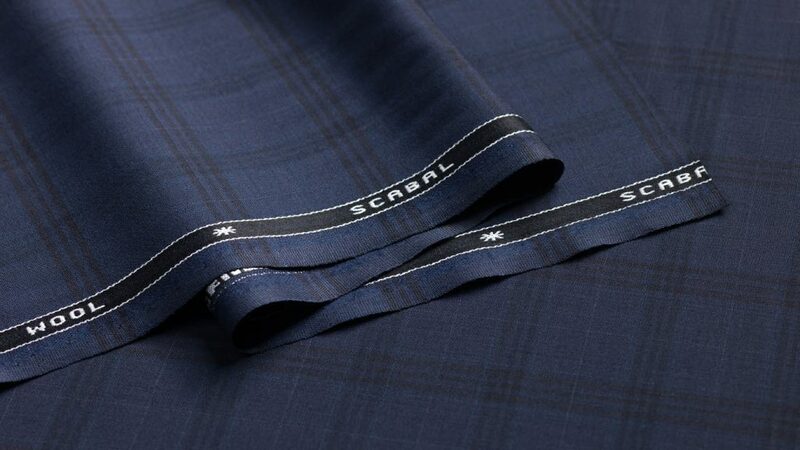 This luxury lightweight cloth is a deft, airy blend of Super 100’s wool and mohair with cool-dry qualities and a rich shine. 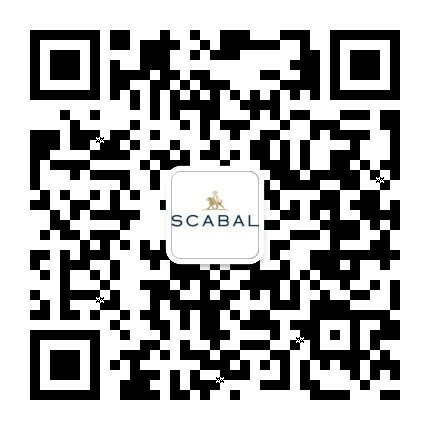 Light striped, semi-striped or in simple plains, the finish is sober, sophisticated and a summer stand-out, worthy of its Caribbean moniker. Glossy, lustrous, gleaming – however one chooses to characterise the Sleek collection, there is no debating its defining qualities: soft to the touch and seductive to the eye. 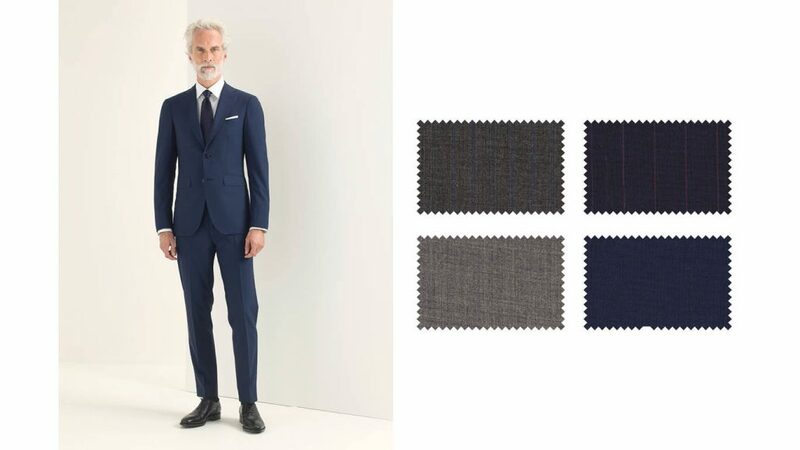 Its distinctive sheen comes from Super 150’s wool, twisted with an ultrafine silk yarn, finished in 26 shades – including shadow stripes, pick-and-pick overchecks and simple plains. 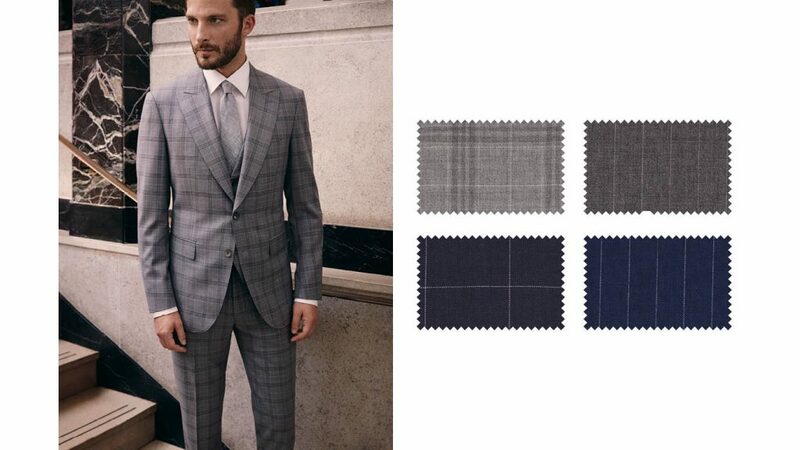 At a construction weight of just 240g, here is an effortlessly wearable wardrobe addition – a poised and polished look. Gin and cucumber, lamb and apricot, cashmere and the sunshine months: unlikely pairings, perhaps, but where would we be without innovation? 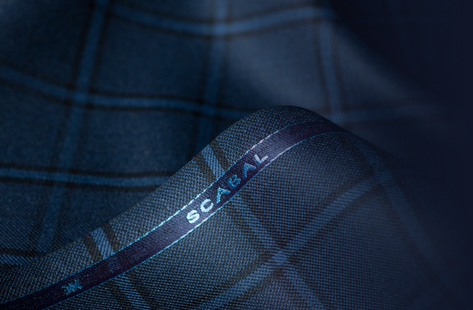 This seasonal surprise uses the very fine pure worsted cashmere yarn plain woven for a cloud-soft cloth with an eye-catchingly elegant drape. 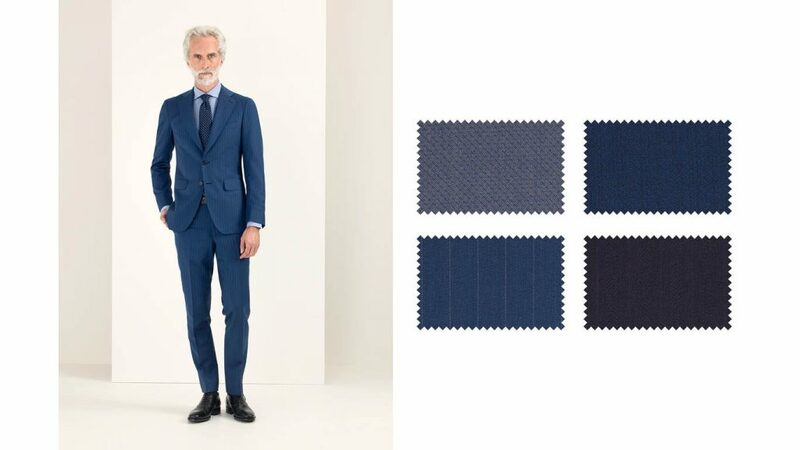 Its light weight (just 200g) and simple colour palette (bright, mid and dark navy blues are among the pitch-perfect plains) combine to create the feel-good hit of the summer.